Carl Hursh has more than 30 years of progressively expanded public service working with the Pennsylvania Department of Environmental Protection, culminating as the State Recycling Coordinator responsible for advancing state-of-the-art recycling, composting, and waste diversion programs. 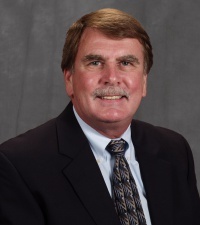 He is a Senior Certified Recycling professional with ties to state and multi-state recycling organizations, and has actively assisted numerous local governments to establish and optimize their recycling, composting and beneficial use programs. Carl is an accomplished instructor and technical writer, and is also highly skilled in media relations for recycling, composting and waste diversion projects and concepts.